The world famous Berlin Philharmonic Wind Quintet, which will stop touring after 31 seasons of great music, will come to Louisville one last time as part of the Chamber Music Society of Louisville’s 2018-2019 subscription season. Come hear these world-class virtuosi perform in concert on Sunday, February 17th at 3:00 PM in Comstock Hall, 105 W. Brandeis Ave., in the University of Louisville School of Music Building. The Berlin Philharmonic Wind Quintet is composed of five musicians from one of the greatest orchestras of the world, and they bring that orchestra’s exacting and expressive musicianship to chamber music for wind instruments (flute, clarinet, oboe, bassoon, and French horn). Founded in 1988 during the era of legendary conductor Herbert von Karajan, the quintet continues to astonish audiences worldwide with their range of expression, their tonal spectrum and their conceptual unity. Many listeners and critics agree that the ensemble has succeeded in virtually redefining the sound of the classic wind quintet. Their Louisville program celebrates the diverse range of music written or arranged for this combination of instruments. They will perform music by Mozart arranged for wind quintet, a songful and charming French Romantic work (Paul Taffanel’s Quintet in G), and two important pieces from the middle of the twentieth century: Czech composer Pavel Haas’ Minor Quintet, Op 10 from 1930, and Henri Tomasi’s alternately tart and exuberant Five Sacred and Profane Dances from 1948. The San Francisco Classical Voice observed that, “Together, the members of the BPWQ..have lived and explored the tonal and contrapuntal possibilities of the wind quintet to perfection." It’s a fitting epitaph for conclusion of this great ensemble’s career. Tickets may be purchased at the door, or in advance, online, at: http://louisvillechambermusic.eventbrite.com/. General Admission Adult tickets are $40.00, Senior tickets (65+) are $35.00, with student tickets available for $5.00 (age limit applies) Plus Kentucky sales tax. A pre-concert talk will precede the performance at 2 PM in the School of Music, adjacent to Comstock Hall. Free parking is conveniently available next to the University of Louisville School of Music at 105 W. Brandeis Avenue. 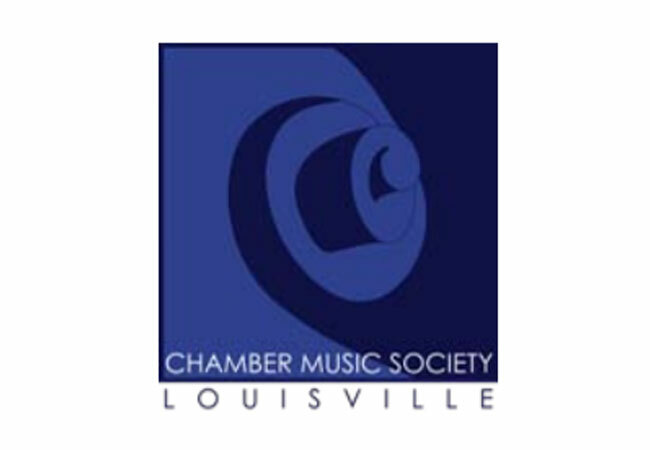 The Chamber Music Society of Louisville was founded in 1938 and is Kentucky’s oldest chamber music organization. The Chamber Music Society of Louisville also sponsors the Macauley Chamber Music Competition to encourage an interest in chamber music among young musicians in the Kentuckiana area. This competition will help to develop the ensemble skills of young artists and to cultivate a lifelong love of chamber music. The Chamber Music Society of Louisville is an all-volunteer, 501(c)(3) non-profit corporation and operates with the support of its longtime partner, the University of Louisville School of Music.